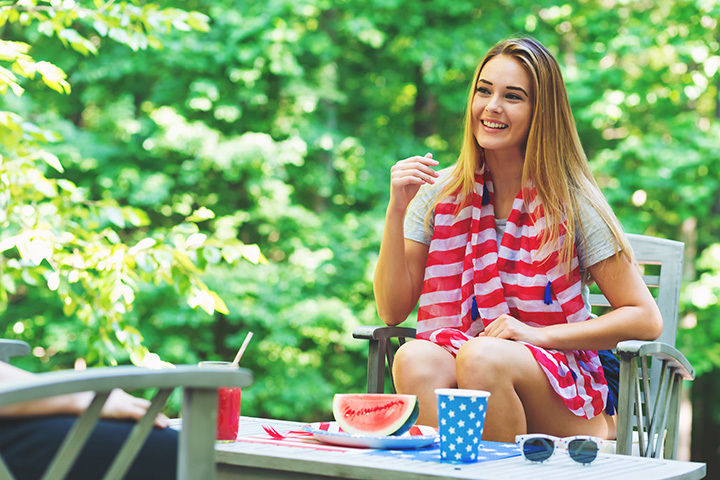 The Fourth of July is a defining summer holiday—and it is always fun to realize that across the country, the entire nation is collectively celebrating our nation’s independence. While there are nearly unlimited options for celebrating the Fourth of July, some firework displays and community gatherings tend to draw the biggest and best crowds. Here’s how to have the perfect Fourth of July in Iowa! Featuring four days of Fourth of July festivities, 4thFest is an annual Coralville traditions that draws hundreds of patriotic patrons to its events every July. Featuring 5K races, live music, the region’s largest parade and of course, fireworks, 4thFest is a family friendly event that always draws a crowd. Whether you only catch a single day or the entire festivities, it’s hard not to have a good time while celebrating the Fourth of July with 4thFest in Coralville. Serving as the perfect precursor to the Fourth of July holiday, the Iowa City Jazz Festival takes place the weekend before the Fourth of July and does not only provide some live music to tap your feet to, but also delivers an amazing community experience. Featuring all day festivities and multiple stages, the streets of Iowa City really come to life with the Jazz Festival. Even if you consider yourself only a casual listener, the Iowa City Jazz Festival strikes the right notes for a great time regardless of what festivities you choose to partake in. With tons of events taking place over the several days of the Freedom Festival in Cedar Rapids, all culminating in fireworks on the Fourth of July with the city skyline as the backdrop, there almost isn’t enough time in the day to check out all the action. Whatever events you decide to partake in, whether it’s the Freedom Festival Parade or any one of the many free outdoor concerts, the whole family can have a fun time while celebrating the nation’s birthday in Cedar Rapids. While there are a lot of going-ons in Des Moines for the Fourth of July, if you really want to experience a magical time celebrating our nation’s independence, the Yankee Doodle Pops Concert at the state capitol really sets the bar high. Featuring a classical performance by the Des Moines Symphony set to the background of fireworks, this family-friendly event is free and highly attended. With plenty of space to lay the blanket down and enjoy the show however, this is one of the top Fourth of July activities you’ll find in the state, and serves as one of the best ways to celebrate everything the Fourth of July stands for. Hosted by the Hard Rock Casino and Resort in Sioux City, Saturday in the Park falls on the closest Saturday to the Fourth of July and features a stacked line-up of all-star music performers and stars. With two stages to choose from and a dozen artists that put on a show, whether you only catch one show or all of them, it’s highly recommended to stay until dark when Saturday in the Park hosts one of the best fireworks displays found in the state. Featuring five full days of recreation, historical education, and community celebration, the 10,000 Crestonians Fourth of July Celebration draws thousands of spectators to Southwest Iowa for all types of attractions. Whether you are looking for a talent contest, half-marathon or a look into the history of this railroading town, 10,000 Crestonians has something for everyone. Perhaps the biggest draw to this 68-year event is the large fireworks displaying lighting up the area on the Fourth, creating for quite the show to celebrate our nation’s independence. No town is more properly named for the Fourth of July than Independence, and few other towns host quite the same events as Independence’s Independence Day Celebration. Featuring an impressive parade for all ages, live music, and an eye-catching firework display over the Wapsipinicon River, this four-day celebration pulls out all the stops for celebrating the town’s namesake inspiration. Check it out yourself and see why celebrating your independence in Independence is one of the most fun Fourth of July activities you’ll find in the entire state. Located in the historic Valley Junction of West Des Moines, the All Iowa Bash not only celebrates our nation’s independence in style, but this one-day party also exemplifies everything that is great about the state of Iowa. Featuring Iowa-made food, beer and crafts, the options are endless on how you can fill your cultural appetite at the All Iowa Bash. Featuring high-flying fun and visual displays, the Fireworks and Air Show Spectacular in Dubuque is one of the most spectator friendly Fourth of July events in Iowa. With parachute teams and military flyovers, plus an amazing assortment of fireworks over the Mississippi River, the Air Show Spectacular manages to draw big crowds every year for this lively event. With plenty to see though, and plenty of places to park your blanket or lawn chair, the more is the merrier at this celebrated Fourth of July event. With four full days of Fourth of July events, there is a little something for everyone to enjoy at the Shell Rock 4th of July celebrations. Whether you are looking to get your personal best in a 5K, catch some live music that’s easy to dance to, or you want to sample some Iowa cuisine at many different vendors, if you happen to be in the northeastern part of Iowa come July, this celebration will give you a good reason to be a part of the community. If you can only check out one thing for the Shell Rock 4th of July Celebration, be sure it’s the amazing fireworks display taking place on the eve of the Fourth of July. View more Iowa July 4th Fireworks and Celebrations.